Here is Some information about Asvakranta Temple in Guwahati Assam India. 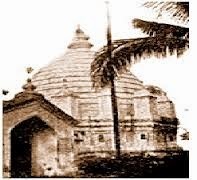 The Asvakranta in emple is located in North of Guwahati in Assam.The temple is dedicated to Lord Vishnu.Asvakranta Temple which is located at Guwahati in Assam is being dedicated to Lord Vishnu. This particular shrine is considered very much sacred according to the ‘yogini tantra.’ It is believed that an any sinner can achieve salvation by offering worship here.This particular shrine is considered very much sacred according to the ‘yogini tantra.’ It is believed that an any sinner can achieve salvation by offering worship here The deity here is referred to as Anantasayin Vishnu. The word ‘Anantasayin’ refers the reclining position of Lord Vishnu on the body of a serpent, as been depicted by the idol. An idol of Lord Brahma is depicted seated on a lotus, which emerges from the navel of Lord Vishnu. Other idols here at the temple complex are of Goddess Mahamaya and two demons, Madhu and Kaitabha, which are located at one corner of the shrine. Asvakranta literally means ‘ascended by horses’. It is here that Sri Krishna camped with his army before he defeated and killed Narakasur. Aswakranta is associated with Krishna-Rukamini episode. It is said that Krishna's Asva (horse) was encircled (akranta) by the enemies at this place. 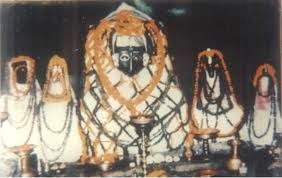 It is also believed by some people that the place should be caged as Asvaklanta indicating that Krishna on his way from Kundil Nagar to Dwaraka had to rest here as his horse became tired (klanta). By Road : The Asvakranta temple is linked by road transport via the Saraighat Bridge across the Brahmaputra. Other option is Guwahati, which is well connected with regular bus services from all the major cities in and around the state. By Rail: The Nearest Railway station is Guhati Station. By Air : The Nearest Airport is Guwahati Airport.